ScaleIO also allows you to take multiple copies of a given volume providing for multiple point-in-time copies. Furthermore, a user may take snapshots of snapshots. It is important to note, that unlike standard volumes, snapshots are thin-provisioned. This means that the full copy of the data is not copied over upon creation, so the storage pool associated with the snapshot only stores the deltas–just like most software-based or array-based snapshot technology. 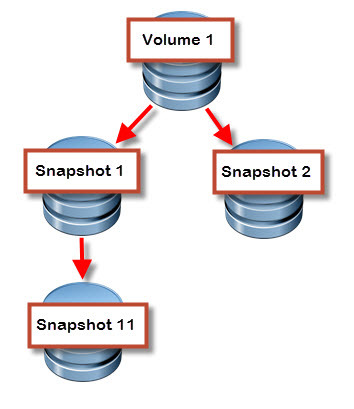 On that note snapshots are always in the same pool as the source volume–so make sure you have adequate capacity. remove_entire_snapshot_tree–This will remove the entire V(olume)Tree to which a volume belongs. 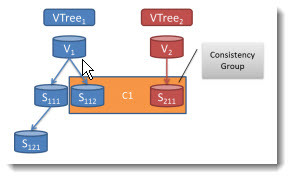 A VTree is the family of associated snapshots from a given source. remove_descendant_snapshots_only–This will remove the segment of the tree rooted at the volume specified (which may be a snapshot), but without the root. Time to run through the process. First we need to identify the ScaleIO volumes that I want to snapshot. 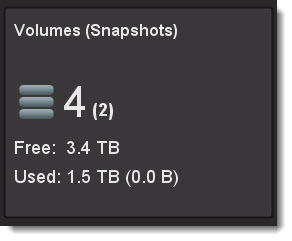 In this case I have two ScaleIO VMFS volumes that I want to take a consistent snapshot of. So I need to find out the ScaleIO names first. I can use my handy PowerShell script I wrote about in a recent blog (https://www.codyhosterman.com/2014/01/07/using-powercli-to-correlate-vmware-vmfs-and-scaleio-volume-info/) to do this. So the two datastores are residing on ScaleIO volumes named scio-vol1 and scio-vol2 respectively. These are the names I will use for the snapshot operation. Just need the name of the original volume(s) and choose new names for the snapshots. For multiple volumes, just make both names comma separated. SSH into a SCIO host with SCLI, I will use my primary MDM and snapshot the two volumes. This creates the volumes and since I snapshotted two, there is a consistency group created with a supplied ID. I can use the ID to manage all of the volumes in the consistency group if I so choose. If we look at the GUI, the snapshots are immediately recorded. 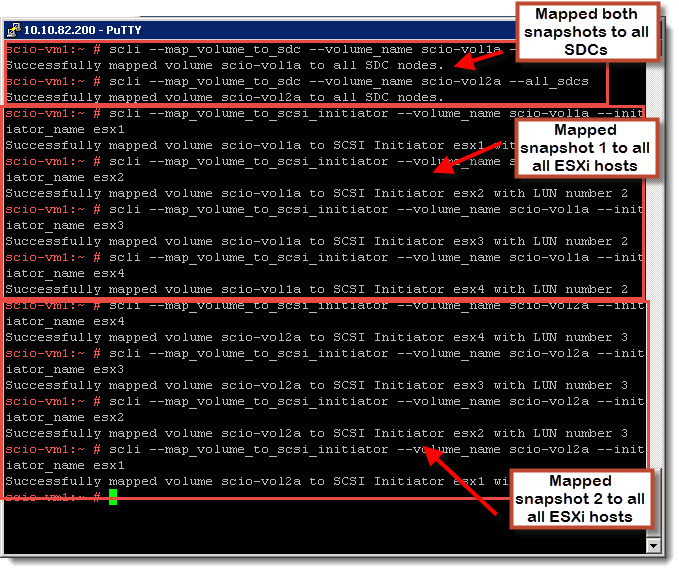 Now just to map them to the SDCs and then the ESXi initiators. Now rescan the ESXi hosts and run the add storage wizard. You will see the two ScaleIO volumes appear and they will be listed as hosting a VMFS volumes of the same name as the source volumes. Since the original volumes are still present we need to assign these VMFS volumes a new signature (which is a good idea regardless) so they can be mounted. Resignature them and you will see them appear as mounted datastores with snap- prefixes applied to the original VMFS names. And we’re done! Once again, pretty easy. Since they are sharing tracks with the original source you will not notice any increased storage consumption going on behind the scenes for these volumes until you start writing to them.